IT’S YOUR YOUTHFUL GLOW IN A COMPACT! Ombré Radiance Blush™ is rated 4.5 out of 5 by 75. Your gorgeous flush of color and radiance is just a brush stroke away with this innovative color correcting radiance Ombré Blush. The exclusive Je Ne Sais Quoi® shade transforms from matte to radiance and is formulated to bring out your individual healthy flush of color and glow! Perfect for all skin stones. Clinically shown, all day waterproof! Using your favorite IT Cosmetics® Brush, lightly dust over the apples of your cheeks using circular, upward sweeping motions. Apply to bare skin or on top of makeup for an instant flush or vitality-filled color, radiance and color correction. Talc-free matte blush and radiant highlighter, all in one formula! MICA, DIMETHICONE, MAGNESIUM STEARATE, PHENOXYETHANOL, TOCOPHERYL ACETATE, MAGNESIUM ASCORBYL PHOSPHATE, HYDROLYZED SILK, HYDROLYZED COLLAGEN, ALOE BARBADENSIS LEAF EXTRACT, AQUA/WATER/EAU, BUTYLENE GLYCOL, CAMELLIA SINENSIS LEAF EXTRACT, EUTERPE OLERACEA FRUIT EXTRACT, CHOLESTERYL OLEYL CARBONATE, CHOLESTERYL NONANOATE, CHOLESTERYL CHLORIDE, GLYCERIN, CARBOMER, POLYSORBATE 20, PALMITOYL OLIGOPEPTIDE, PALMITOYL TETRAPEPTIDE-7, VITIS VINIFERA (GRAPE) SEED EXTRACT, SODIUM HYALURONATE, RETINYL PALMITATE, TOCOPHEROL, [+/-: TITANIUM DIOXIDE (CI 77891), IRON OXIDES (CI 77499, CI 77492, CI 77491), MICA (CI 77019), TIN OXIDE (CI 77861), RED 6 (CI 15850), RED 7 LAKE (CI 15850), YELLOW 5 LAKE (CI 19140), RED 28 LAKE (CI 45410)]. Swirl your favorite IT Cosmetics™ brush into compact and dust blush over the apples of your cheeks using circular, upward sweeping motions for a youthful-looking glow. For your most natural-looking flush of color, apply onto the apples of your cheeks—just smile, and you’ll see them! Rated 5 out of 5 by _AndreaLizabeth from Beautiful! Absolutely love this blush!! Looks so natural and pretty and feels so soft of my skin!! Rated 5 out of 5 by MareNeil from BEST idea! I have very rosy cheeks on the "apple" portion and then my color fades to neutral on my high cheek bones. I love the ombre idea because I have different hues of blush in the same compact. What a novel idea - top it off with all the good things to put on your face like peptides, sodium hyaluronate, collagen and oils for hydration. LOVE IT! Rated 5 out of 5 by Jmarsh from Best Blush EVER!! I have been using this blush since it first came out. I love love love this blush. It is the only blush I will use. You are able to customize your color along with having a built in highlighter. Rated 5 out of 5 by Cathymac26 from Great color Love the color . The guality of this products , and others I have purchased , are outstanding . I recently purchased the holiday special kit that has 12 eye colors and the Rose ombre blush in the center. I absolutely love this blush!! Can you tell me if it is available separately? 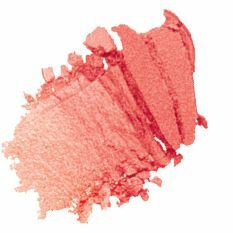 which of the colors of the Ombre radiance blush is closest to the &quot;naturally pretty&quot; shade in the bye bye pores blush? I use the Medium celebration foundation, have brown hair and blue eyes. I'm struggling with what ombre blush to get. I want a very subtle color - nothing to bright and harsh. What color would you suggest? Does this product contain any trace of carmine? I've reviewed the ingredients list but I'm highly allergic so I don't want to take any chances in case ingredients in very small amounts are not listed. Thank you.